Clinic Synopsis: An exciting clinic designed to give classroom teacher insight about how to fix common woodwind alternate fingerings in their ensembles and why! Second Clinician Biographical Information A native of Pompano Beach, Florida, Emmanuel Rodriguez graduated from Blanche Ely High School in 2012. Prior to matriculating at Florida A&M University, Mr. Rodriguez attended the University of Florida. 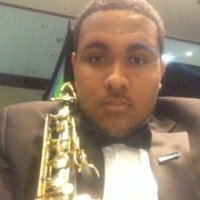 A 2016 FAMU graduate, Mr. Rodriguez served as a student leader in the FAMU Department of Music and College of Education. An outstanding woodwind pedagogue, Mr. Rodriguez's interest include conducting, composing and arranging. For the 2016-17 academic year, Mr. Rodriguez served as Assistant Director of Bands at his Alma Mater, Blanche Ely High School in Pompano Beach, Florida. Mr. Rodriguez is the newly recently appointed Director of Bands at Miramar High School in Miramar Florida.